It was cold & gloomy today, and at lunchtime I felt like having something a bit fancy-shmancy as well as quick & easy. 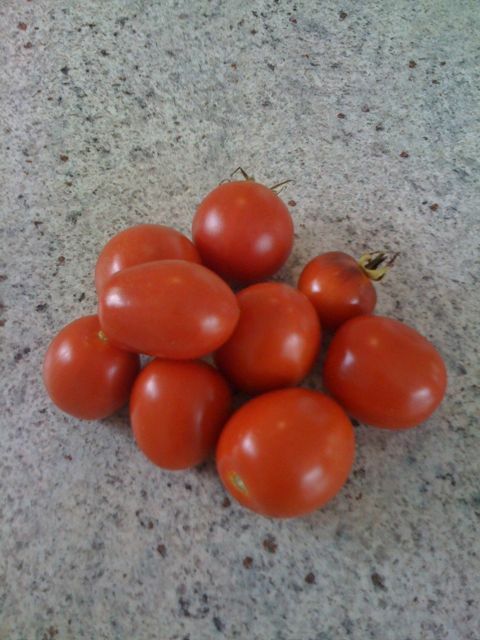 I have been harvesting some decent-sized tomatoes lately, so I really wanted to showcase them somehow. Bruschetta was the perfect solution. 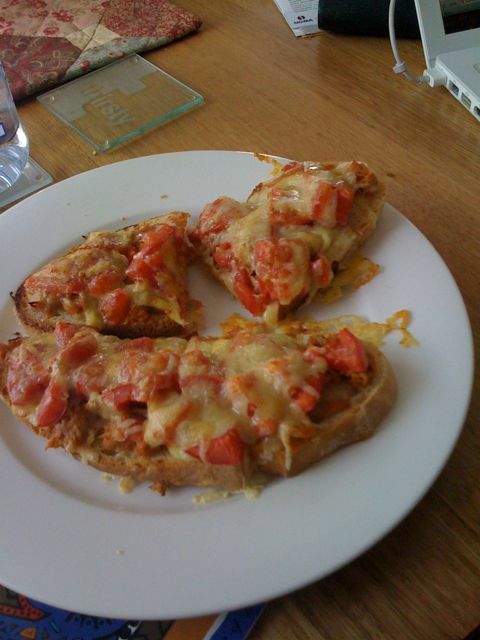 I used a lovely sourdough from work for my bruschetta, but use any thick cut crusty loaf. I made mine with tuna, diced tomatoes, grated cheese & oregano, but use anything: avocado, mushrooms, capers, olives, smoked salmon… The possibilities are endless. Grill or bake until bread is crispy & your ingredients are heated through. Dig in & enjoy! This entry was posted on April 5, 2009 at 8:22 pm and is filed under harvest, iphone posts, Lunch. You can follow any responses to this entry through the RSS 2.0 feed. You can leave a response, or trackback from your own site.